The UK's final-salary private sector pension funds have fallen back into deficit, a position they have been in for most of the past two years. 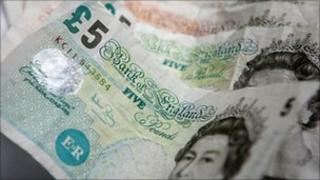 The 6,653 schemes measured by the Pension Protection Fund (PPF) were in deficit by £54bn at the end of August. In July they had recorded a small surplus of £7bn. The PPF said the change was due to a rise in the cost of paying for pensions, which was linked to lower returns on government bonds. "During the month of August there was a 1.4% increase in assets mainly due to rising UK and global equities," the PPF said. "However, liabilities rose by 8% due primarily to the significant fall in gilt yields." The position of pension schemes is extremely volatile. Their value is dependent on the day-to-day value of their assets such as shares, bonds, and property. That is compared to the stock of assets needed to generate the income to pay the accrued pensions in the future. If the required level of assets is lower than that actually held then the schemes are deemed to be in deficit. In the past two years the position of the schemes measured by the PPF has swung from a deficit of £192bn in March 2009 to a surplus of about £53bn in March this year.